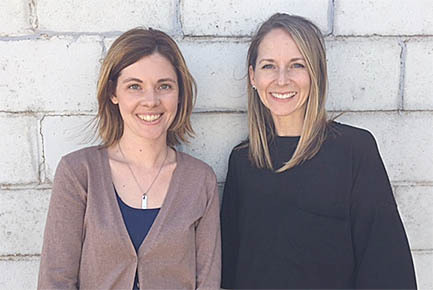 AFTER SCHOOL DIRECTORS — Taking key roles in the new Boone Central after-school program will be Staci Sandman, l., site director, and Mollie Morrow, program director. Cardinal Kids Club, the new after school program at Boone Central Schools, will be opening its doors with the new school year next fall. Cardinal Kids Club will be an after-school expanded learning opportunity for kids in Kindergarten through fifth grades. Staci Sandman has been hired as the program site director. She will be overseeing the day to day operations of the program. Information on how to sign up for the program will be sent home with children this week. Applications are due back to Boone Central by May 10.